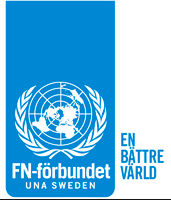 more important in the new international situation where many Swedish officers are working. 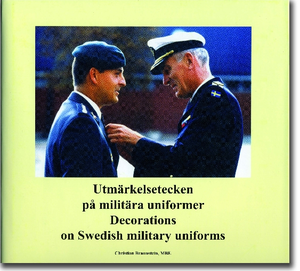 specially sensitive matter if it is on a military uniform in a democratic country like Sweden. The matter is so important that earlier it was the King who decided which decorations would be allowed on a military uniform but today it has been delegated to the Supreme Commander. 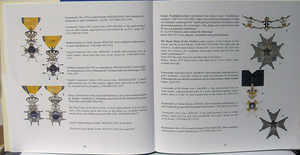 The National Swedish Museums of Military History, which also includes the Board of Military Traditions, think it is important to complete their series of books about military heraldry, colours and traditions with a book about military decorations and how these are worn. 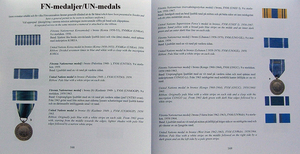 of it is a list of all decorations (with pictures) which have been allowed on a military uniform in Sweden during the 20th century.